When a loved one must be placed in a nursing home, the situation can already be a difficult one for family members. By placing a loved one in a nursing home, family members expect that the loved one will be treated with the utmost care, respect, dignity and protection. When this care is not provided, an Alaska nursing home lawyer can use his or her knowledge of nursing home laws to serve your case. Federal nursing home laws and Alaska statutory laws are in place to ensure that residents receive adequate care in nursing home facilities. The Alaska Protection of Vulnerable Adults Act is in place to provide for reporting requirements of abuse, and Chapter 12 of Title 7 specifically outlines patients’ rights in Alaska. Throughout the year, Medicare routinely inspect every Alaska nursing home to determine if the facility is compliant with federal and state regulations. The federal agency generates reports through inspections, investigations and surveys that identify violations and deficiencies. Recently, Medicare found that three (17%) of the 18 nursing facilities in Alaska were ranked below the national average due to substandard care after residents became victims of injury and wrongful death. If your loved one was injured or died unexpectedly while residing in a nursing facility in Alaska, we encourage you to contact the Alaska nursing home abuse & neglect lawyers at the Nursing Home Law Center at (800) 926-7565 to discuss your case during a free initial consultation. If any of these rights have been violated, then you may have a cause of action against a nursing home facility. An Alaska nursing home attorney can help you understand how to proceed in your case and file a complaint. Nursing home abuse is a serious problem in Alaska. This is indicated by the fact that in 2008, over 42 percent of nursing homes were discovered to have deficiencies in the professional standards maintained in the nursing home. 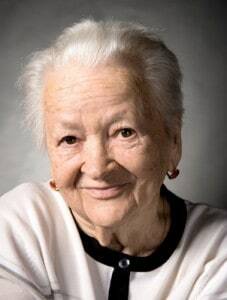 The 2008 University of California-San Francisco research study also revealed that over 21 percent of nursing homes have deficiencies in the quality of life of patients and in treating them with dignity. Examples of violations include improper grooming, lack of private spaces, lack of independence in dining and disrespectful treatment towards patients. In Alaska, damages may be awarded for negligence of up to $250,000 per single injury suffered by a nursing home resident. Compensatory damages may be awarded in the greater of up to $400,000 or the life expectancy of the patient in up to $8,000 per year. Your loved one should not have to suffer with injuries as a result of the inadequate care of nursing home employees, and compensation can help remedy the abuse or other harm suffered by your loved one. 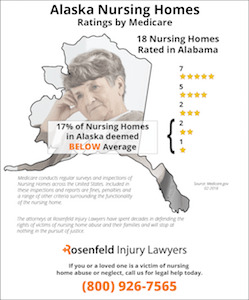 Get in touch with an Alaska nursing home lawyer who can begin investigating incidents of negligence in your case today. Many patients residing in nursing homes are bedridden or bound to a wheelchair and unable to move without assistance help. Unfortunately, not having the ability to reposition themselves increases their potential of developing pressure sores. To minimize the risk of a resident developing a bedsore, nursing homes in Alaska are required to follow regulated guidelines to monitor patients properly. According to law, procedures and protocols, every wheelchair-bound and bedridden patient must be repositioned at a minimum of at least once every two hours. The lack of proper blood flow cuts off oxygen to skin and tissue at the pressure point. Within minutes, the tissue can become compromised and begin to inflame. Generally, red spots will begin to appear or noticeable fluid-filled blisters will develop. Pressure sores are categorized in four stages. The earlier stages are easily treatable and reversible, where the advancing stages can be critically damaging and life threatening. Stage I – There is no open wound when the pressure sore first begins to develop. The skin might feel softer or firmer than the skin in the surrounding area. At this level, relieving pressure and keeping it off the area can allow blood to return to the compromised tissue to begin the healing process. If left unattended, the tissue will begin to die from depleted oxygen and advance the condition to the next stage. Stage II – At this stage, the skin will break open or wear away before forming an ulcer. Usually, the area is painful and tender to touch. What was once a Stage I blister has now turned into an abrasion (scrape) or the skin has developed a shallow crater. Often times, skin damaged by a pressure sore at this stage will be permanently damaged or dead. Stage III – At this level, the pressure sore has significantly advanced and caused permanent damage to tissue residing just under the skin. The once shallow crater is now deeper and has formed an expanding crater. Fat may appear in the underlying wound, although bone, tendons and muscles are not present. Stage IV – The pressure sore has now developed to the deepest layer under the skin and is causing significant and permanent damage to tissue very deep in the wound. At this stage, there are often exposed tendons, muscles, bones or joints. The last two stages (Stage III and Stage IV) can be life threatening if blood infection (sepsis) or bone infection (osteomyelitis) develops. Advancing stages of pressure sores in patients in nursing homes are usually caused by negligence or inattentiveness by the medical staff. This is because the nursing staff should have used proven methods to minimize, manage or reverse the bedsore in its early stages. In many incidences, the patient developed advancing stages because they were not monitor properly or provided effective treatment by an experienced professional. If a loved one is suffering pressure sores caused by negligence by staff in a nursing facility, it is essential to take legal action immediately. Parties responsible for the neglect need to be held accountable through a personal injury claim or wrongful death lawsuit. 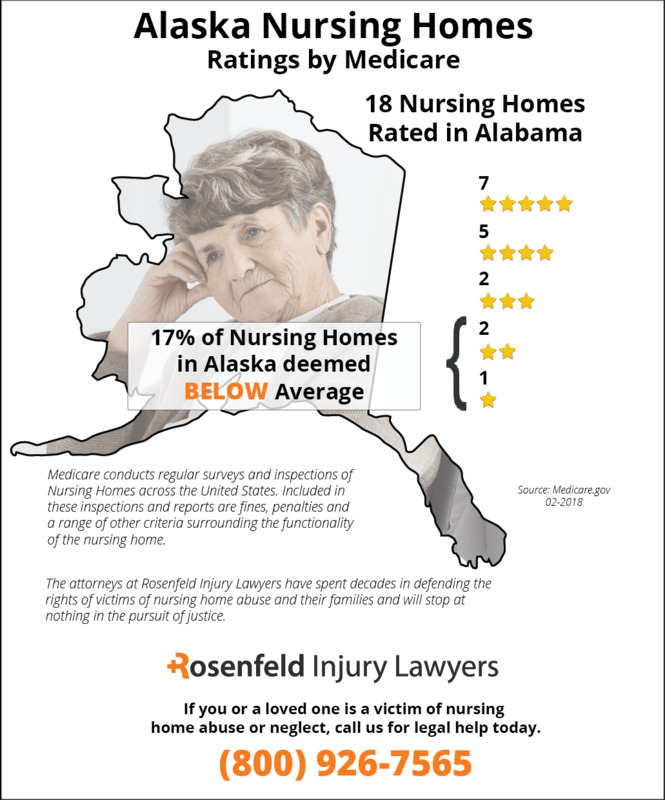 Family members of a patient injured in a nursing home can hire an Alaska pressure sore attorney to help them seek justice to stop the neglect. A skilled lawyer can hold the parties responsible for the bedsore financially accountable for their neglect and provide the victim the compensation they deserve. Nursing Home Law Center LLC can assist your family to stop the nursing home negligence and seek financial compensation. The lawyers offer a confidential, no obligation free initial consultation to discuss all available legal options. Pain and suffering limited to $250,000 for single injury. Compensatory damages – $400,000 or life expectancy in years multiplied by $8000 per year, whichever is greater. (§09.17.010(b) – Noneconomic damages). Punitive damages – greater of three times compensatory damages or $500,000.